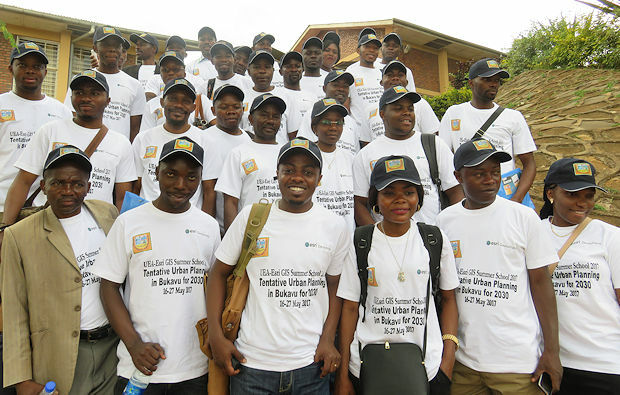 This year 18 teachers from nine secondary schools were invited to attend the 4th UEA – Esri GIS Summer School with the topic "Urban Planning in Bukavu, perspective 2030". The participants collected coordinates with GPS and information of important buildings and institutions in the Quartier "Ndendere" using a questionnaire. They learned how to enter and to edit data as well as to capture data from satellite imagery. The results were analysed with GIS and represented in maps. The maps together with the chosen methods and explanations were displayed in posters. 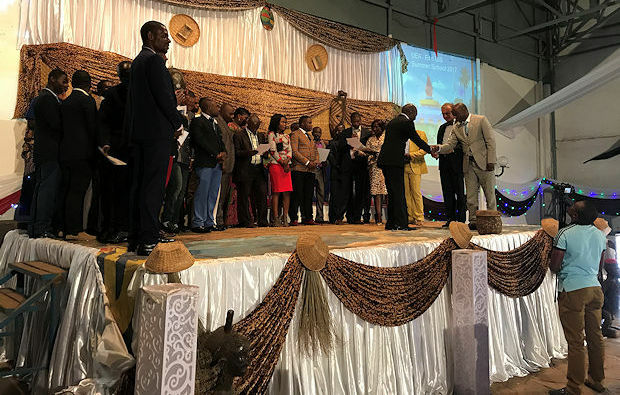 The results of the team work and recommendations of the nine days’ project week were shown to representatives of the Province of South Kivu, DRC and invited guests during the 25th anniversary celebrations of the Université Evangélique en Afrique at the Restaurant Bodega on May 26th, 2017.